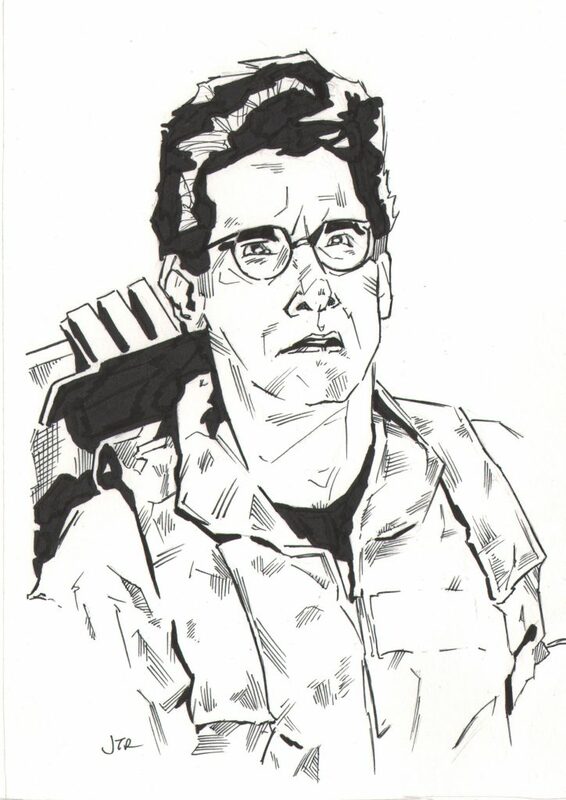 Today’s member of the Ghostbusters is the big brain of the group, Egon. 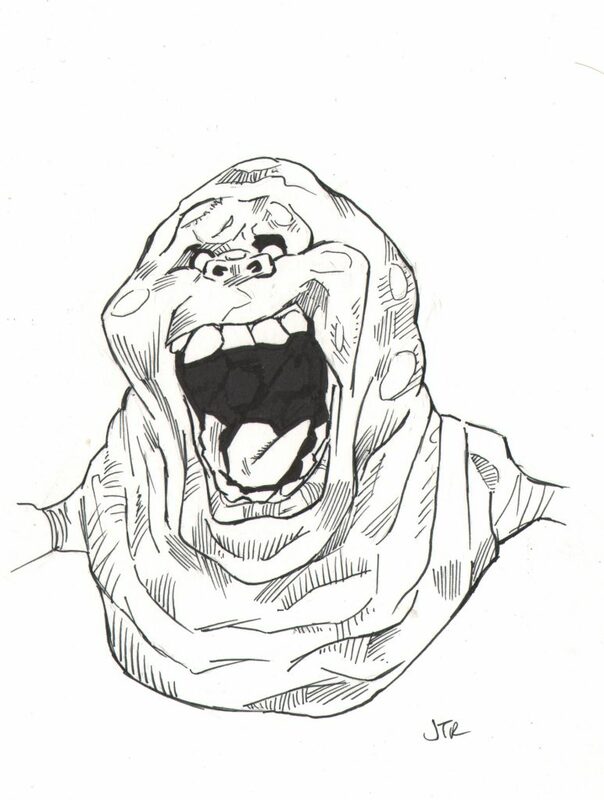 And here is an extra drawing for today, the ghost Slimer! Here is the start of a new series of drawings based on the original Ghostbusters movie from 1984. 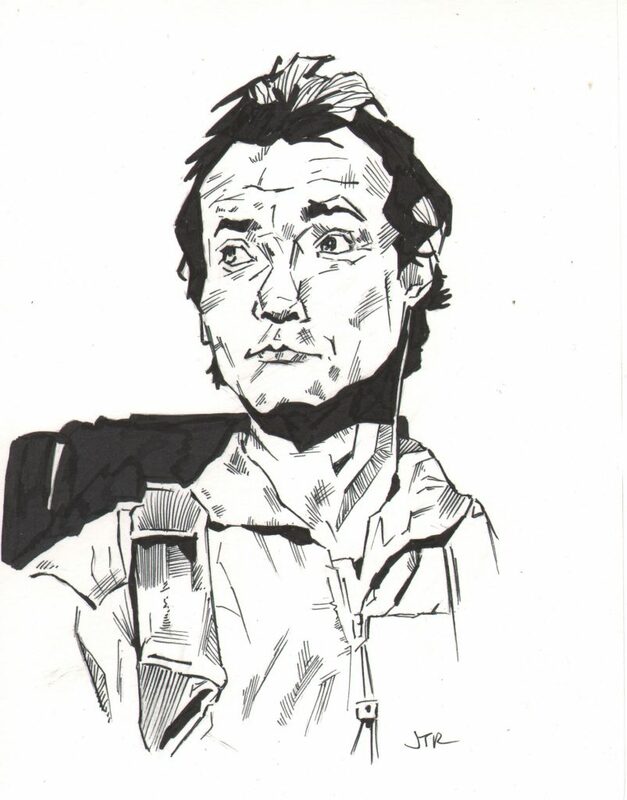 It’s Peter Venkman, played by Bill Murray. Since he is my favorite of the Ghostbusters, I decided to start with him. The drawing is ink on Bristol board and is about 6″x8″ and is for sale for $25.